Jen Greyson | Author: Pay it Forward. Wow, what a whirlwind month! Is Christmas really in TWO days?? Because I'm a genius when it comes to scheduling, I added 'polishing the manuscript,' 'submit the manuscript,' and 'get a new job' to the list of things I wanted to accomplish in December. Guess where that stuck Christmas shopping, (not to mention blogging)? Thank you internet - and overnight shipping! In all the craziness of this month, it's been easy for me to forget what Christmas is all about. Somewhere along the way, a marketing guru thought it would be fun to commercialize the holiday, and now we all spend way too much money, way too much effort, and way too much time on giving THINGS instead of what the people in our lives really want - more of us. AND, you can still be involved. 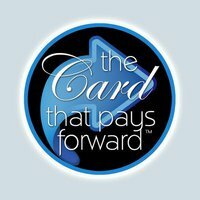 Go sign up at www.thecardthatpaysitforward.org or on the facebook page, get your card, start doing amazing things for others, and see where your card goes, and how people pay your good deed forward. Have an amazing Christmas, Chanukah, Kwanzaa, Saturday. Whatever this season means to you, pay it forward, and stay out of the malls. All your family really wants is more of your time, and you can't gift wrap it. I love and adore you. Thanks for journeying with me.